Ok, I think I really love this stuff! My curls are so defined and shiny today after the first use on wash day! The dew point is 58f, and my hair is not the least bit frizzy. It gave me reeaaally good crunch that scrunched out nicely. It reminds me a ton of the Mop Top Curly Custard, minus the frizz. I think I will probably be purchasing this. It has the ingredients my hair adores - aloe juice and hydroethylcellulose. It has polyquat-4, but I've never had a problem with 4 (mainly 10 & 11). The smell is pretty good too, I keep getting whiffs. It's not a scent that I'm smelling my hair over and over again, but I don't mind it. How are you using it? On top of anything in particular? Anything on top of it? So glad it's working well for you! Just on top of whatever leave in I'm using. I used CJ Argan & Olive Oil when I tried it. Nothing on top, I don't need anything else I love that it's glycerin free, I think that's a must for me for summer. 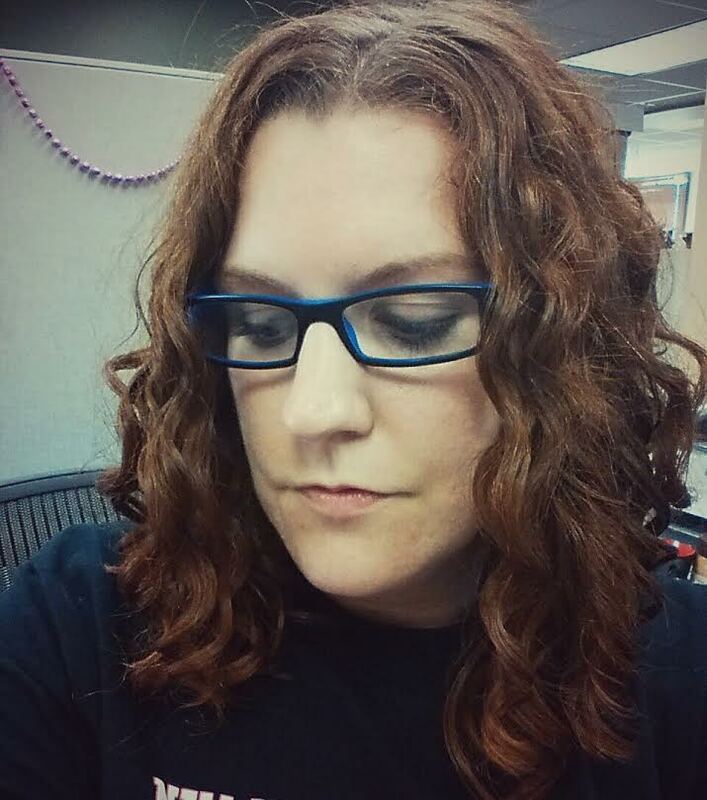 It's second day hair and I usually am pretty frizzy, but it's pretty mild and looks great still! Pretty darn great (for me)!! Usually my hair is puffed out twice as big. I love this gel! It's more liquidy than more traditional gels and spreads easily. I'd say it's medium hold gel, at least for me! It's one of the few gels I always repurchase. I am definitely purchasing!!! So far this has given me 4th day hair and very successful pineapples which never worked before. I'm for sure sold. That's awesome, Amy! It looks amazing! Wow, it's getting so long. Just gorgeous! So I just ordered this gel! I can't wait to see how it works for me.... Yay! Received the gel, and washed my hair immediately. I cannot wait when I get new products. So I really think this gel has potential. I was skeptical because it seemed watery and I wasn't sure if all the aloe would work for me. Woo hoo! Thanks for the rec, sixelamy! I freaking LOVE the hold of this product! It hasn't failed me yet since using it. I'm glad you liked it. I hope it continues to work for you. How does this gel compare with Pattern Pusha, which is what I've been using? It is lighter? Stronger? Any other differences? I have both and Pattern Pusha is a little thicker and a bit more grabby, if that makes sense. Pattern Pusha encourages larger clumps for me, which is good for some people, but not really my thing. I agree, I normally use PP and it gives me better clumps than CQ. MY bottle of CQ really doesn't have much scent to it at all, and the consistency and hold is very similar to Ouidad CC. I won't repurchase though, as although I like runny gels, I prefer the Ouidad gel and of course PP. What did you do to refreash on 2nd-4th day? So I just used it to today and I am kind of bummed because it works so much like my CIAB and I was hoping it would be slightly different. I do like that my hair is soft and my curls are defined but in my tropical climate the definition gets lost as well as the hold. I mean it does do what it says its going to do but its so similar to the CIAB that I feel I don't need both. It was between this or the CCCC-lite and now I regret not getting the CCCC-Lite since the CQ is so much like what I already have. I am going to try it with a curl cream under it and/or AIF on top to see if that makes a difference. Right now I don't see myself repurchasing it. Styling: CJ Curl Fix as LI, Curling jelly or CJPP or CIAB, Topped with BRHG.